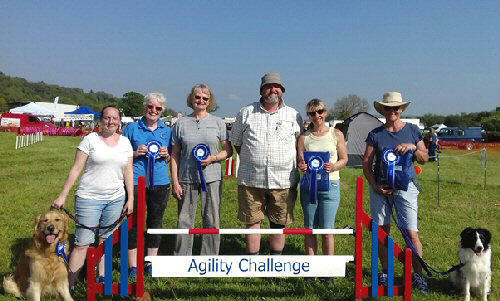 The Agility Challenge celebrates all that is good in the Agility calendar. It is one of the must try for annual finals for the rising stars of the Agility world. This year it is being organised by Country Shows Agility and, for the first time, is open to Large dogs G1-4. 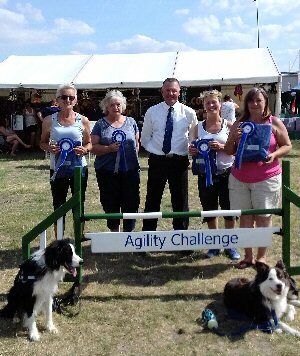 With 10 chances to qualify across the country, the top five competitors from each of the qualifiers will be invited to the Agility Challenge Grand Final at the Malvern Autumn Show on Sunday, 30th September 2018 under the watchful eye of Championship Agility Judge Martin Tait. 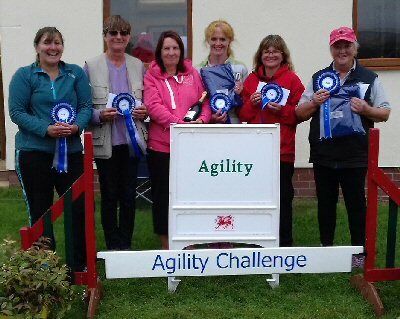 The first qualifier of the Agility Challenge 2018 was to be be held at Hatton Festival but the show was cancelled due to weather and ground conditions. Schedules for all our host events are available on the Agilitynet Show Diary and elsewhere. 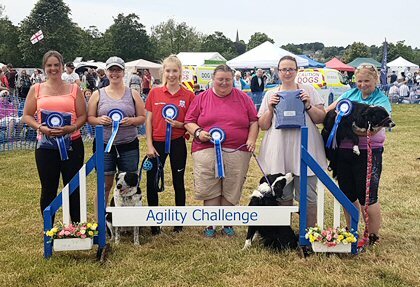 There will be 10 qualifying heats, producing 50 finalists who compete at The Agility Challenge Grand Final to be held on Sunday, 30th September 2018 at The Malvern Autumn Show, Three Counties Show Ground, Malvern. Once a dog has qualified (i.e. 5 finalists per heat) this eliminates that dog from taking a further finalist place in the Agility Challenge. Handlers may not qualify more than one dog for The Agility Challenge final. Any surrogate handlers must be notified in writing within four days of the last heat. NO amendments after this date and non-advice will disqualify the partnership. The North Somerset Countryside event welcomed the Agility community at its 150+ year old annual Bank Holiday gathering in the Mendip Hills. 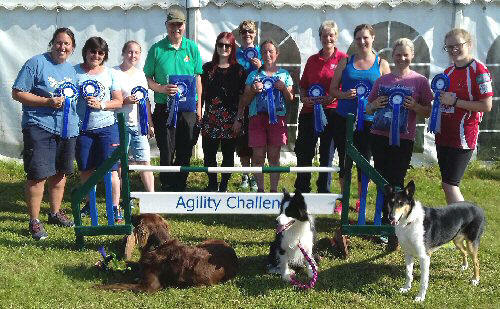 With everything on show from Dexter calves to native breeds wool spinning, Agility enjoyed a prime showground position. And boy, was it hot! 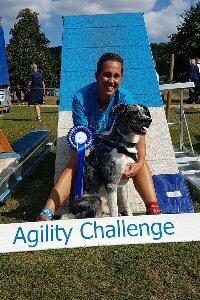 Heat 3 sees the Agility Challenge heading northwards to Worcester Premier Agility Show on 19th May to find our next five Agility Challenge 2018 qualifiers. 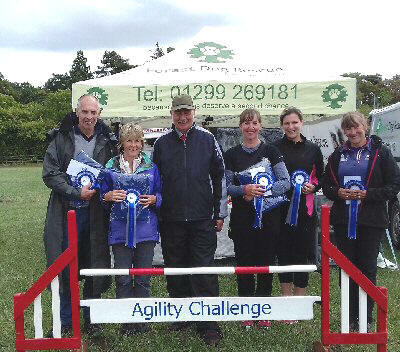 The Worcester team welcomed Heat 3 of the Agility Challenge 2018 at To Barn on 19th May when our rising stars of the Agility world grappled to gain one of the qualifying places for the Agility Challenge Grand Final at the Malvern Autumn Show on Sunday, 30th September 2018 under the watchful eye of Championship Agility Judge Martin Tait. 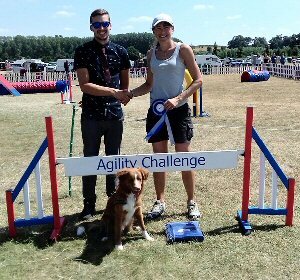 Judge Michelle Waugh officiated today and with the Agility Challenge 2018 now open to Grades 4 dogs some well-known faces made the photo call! Hopefully the Worcester weather maintains across the outdoor season. Heat 4 of the Agility Challenge see us heading northwards to Dogs Unleashed to find our next five Agility Challenge 2018 qualifiers. Dogs Unleashed is our annual visit to one of the truly 'working dog' events held around the UK. It has everything for those with disability dogs to rings where youngsters can compete for the 'Best Six Legs together a myriad of canine activity of everything else in between. I reckon this year the longest queues were in the 'have a go' section forming for the Jump & Splash. With a fenced ring at the heart of the show, our rising stars of the Agility world gathered to gain one of the qualifying places for the Agility Challenge Grand Final at the Malvern Autumn Show on Sunday, 30th September 2018 under the watchful eye of Championship Agility Judge Martin Tait. Judge Rae Blythe officiated although the glorious hot weather at Bakewell made it a tough job. Thanks to all who lent a hand to keep things going. Heat 5 of the Agility Challenge heads East to Just Dogs Live to find our next five Agility Challenge 2018 qualifiers. Troy Hedger is one cool dude! With temperatures into the 30s, he would not have been out of place in Henley’s Regatta Royal Enclosure, which is also held on the same weekend as Just Dogs Live, one of the larger eastwards canine events on the Peterborough showground. I have to say that once I worked out how they functioned, the showers at Catton Hall were a credit to Rugby DTC Championship Agility Weekend that hosted Heat 6 of this year’s Agility Challenge. Judge Martin Reid, on his way to Championship Agility Judge status, kept his cool aw well in the longest heat wave for 30 years. Many today found the challenge of the extended tunnel under the dog walk up a stretch to far but for the successful ones the next challenge awaits them at the Agility Challenge Grand Final at the Malvern Autumn Show on Sunday, 30th September 2018 under the watchful eye of Championship Agility Judge Martin Tait. Now I am saying nothing save a Welshman judging in Wales finds a Welsh winner for the Agility Challenge 2018 seems somehow right. 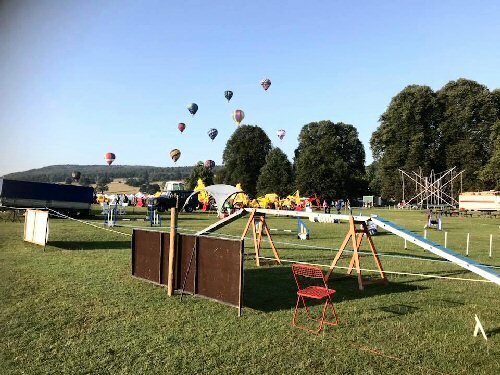 With Agility about as far west as you can get without getting wet, the county show again extended a good weather welcome to those seeking a bit of R&R as well as a few days running the dog. The Welsh Kennel Club run the largest dog show in the principality and its annual takeover Builth Wells’s Royal Welsh showground draws Agility, Breed & Obedience all together with Tickets being awarded across the board. It must be a Welsh thing as again Judge Stephanie Wilson Astbury was joined by her qualifiers and ladies one and all will be welcomed to the Agility Challenge Grand Final at the Malvern Autumn Show on Sunday 30th September 2018 under the watchful eye of Championship Agility Judge Martin Tait. It was not as wet at Bromsgrove as Judge Ian Radford's attire may convey at the penultimate heat of this year’s Agility Challenge held on Bank Holiday Saturday. Most would expect a bit of rain which Ian was glad to see did nothing to dampen the delight of those involved today. Judge Pat Eady set a nice course and, in front of an audience of low thousands, our competitors accepted the challenge to secure a top five place to gain an invitation to this year’s Agility Challenge Grand Final at the Malvern Autumn Show on Sunday, 30th September 2018 where Judge Martin Tait will officiate. As has become customary at this time of year, may we thank all the clubs, secretaries, judges, ring parties and of course competitors for their valued contribution to the competition and I am sure all would wish to add their congratulations and best wishes to all the 2018 finalists.